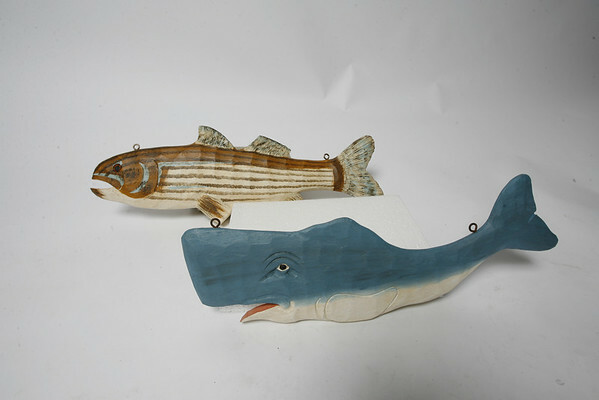 These hand-painted and hard-carved items are Fair Traded and made out of Philippine mahogany. Pictured here is a 20-inch Sperm Whale, $48.95 and a 24-inch Striper or Striped Bass, $55. There are an assortment of sizes (up to five feet) of both tropical fish and North Atlantic types, which can be hung or placed to decorate any patio or room with a marine flair. Available at Menage Gallery of Fine Artists and Artisans at 134 Main St. in Gloucester.